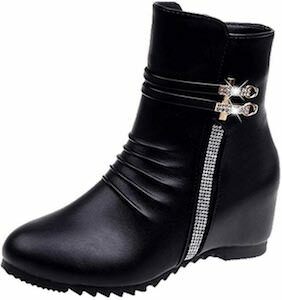 Now you can add some sparkle to your life with these women’s Black Low Boots With Bling. The boots are besides in black also available in white and they are made from PU so they are vegan footwear. The low boots have a zipper on the inside and on the outside, there is a line going up that is covered in tiny sparkly gems and there is a buckle above it that also is sparkly and both really make this boots stand out nicely. You can get these boots in women’s sizes 5.5 – 8 so now you just need to pick the size and if you like white or black or maybe even both. 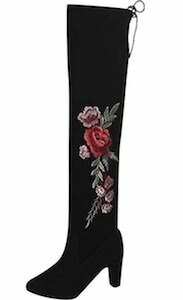 Now you can be wearing these Knee High Boots With Floral Design. You can get these nice boots in women’s sizes 5.5 – 9.5 and in colors red, light gray and black. These boots have a soft fabric style look and go all the way over the knees and then on the side, you can find a nice floral design. Wearing these boots on jeans, skirt, or dress all works and that makes them really versatile and fun. Click on the picture of the boots to see all the colors and how they will look when you wear them. Get ready for winter in these Pink Furry Snow Boots. 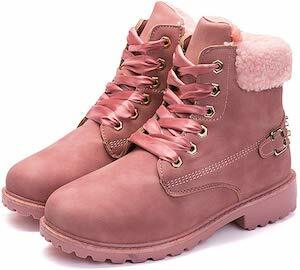 These women’s winter boots are made from fake PU leather and come besides pink also in camel, grey, and black and are available in women’s sizes 5.5 – 10.5. 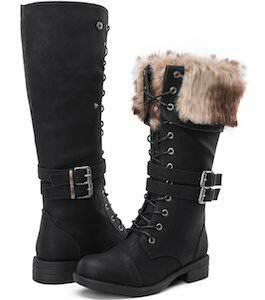 And these cute boots have a furry lining that you can also find on the top of the boots on the outside. If you like fun ankle boots that will look great with with jeans as leggings then you should check out this ladies footwear. Now you can go play in the snow all thanks to these Women’s Baffin Snow Boots. The winter boots are made for the cold as it can keep your feet warm even at -22F so that you are ready for a walk in a winter wonderland. 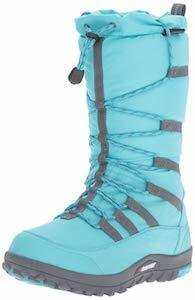 The Baffin Escalate snow boots come in a bunch of colors including these teal once but also in black and other colors. 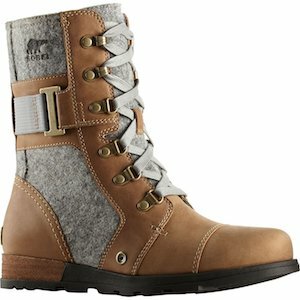 You can get these winter boots in women’s sizes 6 -11. These boot are high enough for a bit dump of snow and are nice and light while being nice and warm. 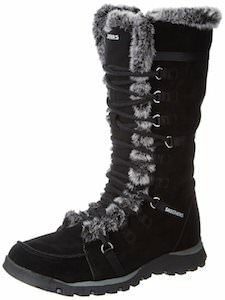 No more cold feet for your this winter all thanks to these Columbia Ice Maiden snow boots. 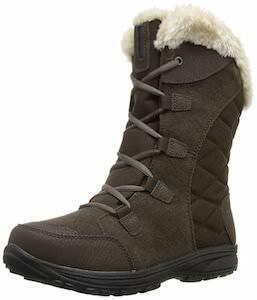 These women’s winter boots come in black, brown, and dark gray and in many sizes ranging from 5 – 12. And boots made for snow need to be water proof and these Columbia boots are ready for snow and some water. If winter get really cold then you are in luck to as they is 200grams of insulation in these boots to keep your feet nice and warm which makes walking in the snow a lot more comfortable. Now there are women’s changeable boots which means you get two looks in one and that is fun. These women’s boots come in black, dark grey, and brown and in sizes 6 -11. So you get nice knee high boots with laces on the front and and some buckles and then you can fold down the top making the boots mid calf high and then they will have furry edge so they will look completely different. Putting these boots is pretty straight forward as it has a big zipper on the side. So now you only need one pair of boot and still have two looks. If you want some boots that get your trough snow and rain and keep you warm while looking amazing then these women’s boots are what you want. These boots are made by Sketchers and are made for winter. You can get these boots in black, brown, and tan and all come in a wide range of sizes from 5 – 11 and half sizes are available too. The boots have laces on the front and a zipper on the side and you can see that the boots have some fun faux fur on it to make them stand out a bit more. And you can even have a fold over on the top so that they look even furrier and fun. Sorel is known for its clunky winter boots but they can make more dress shoes to and these women’s boot prove that. These boots are called Major Carly as they are inspired by military boots but these are way cooler and are available in many colors. The boots have a combination of fabric and leather which makes them look amazing. On the inside of the leg, you can find a zipper for the easy wearing of these Sorels. You can get these women’s boots in sizes 5 – 12 and they come in half sizes too. If you like the style of Converse All Star sneakers but would like boots then you are in luck. These sneaker style boots are knee high and have the same design styles as the canvas sneakers. And to make these boots even better they gave it an animal print. The leopard print can be found on the whole shoe so that it almost looks like you are wearing a leopard around your legs. But don’t worry there are not animal materials in this product. You can get these leopard print boots in women’s sizes 5.5 – 11 and yes half sizes are available too.